When traveling, it’s important to have the peace of mind that your medical expenses will be covered in the event of an emergency far from home. Many people do not factor in possible medical expenses for leisurely travels, but if medical issues arise, it’s best to have a plan in place to secure your finances. Some might believe that these insurance plans are a waste of money, especially for such brief travels. Travel medical insurance packages are inexpensive, and while they are not always needed, they can save a lot of money in the long run should a medical crisis occur away from home. To determine whether a travel medical insurance plan is right for you, it’s important to take a few ideas into consideration. In some cases, obtaining travel medical insurance might not even require a medical examination. The package will simply cover expenses incurred by medical crises while traveling. If you have pre-existing health conditions, purchasing a travel medical insurance package is highly recommended, since these issues can also be covered. A temporary medical travel plan is for people who don’t travel often – these are typically policies that cover single or infrequent trips. 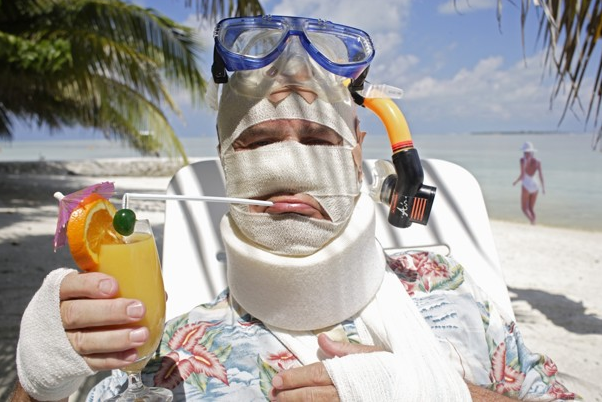 Permanent travel insurance programs are best for frequent travelers. A travel agent can arrange payment for these policies through an insurance carrier, so when you sign up for one of these policies, you will actually pay your travel agent. The insurance company will then provide financial assistance if you have a medical emergency during your trip. Purchasing an inexpensive but effective travel insurance package is important. Many of these policies can cover medical expenses entirely, or they will cover a portion of them. Most plans will cover medical costs incurred anywhere in the world, but they limit the amount that they will pay. For example, some of these plans will pay about $100 per night for a hospital stay outside the U.S. or 50% of a doctor’s visit on a cruise ship. An appealing feature of some plans is the pre-existing condition benefit; for example, some will pay up to $15,000 for medical expenses. An insurance plan for emergencies can ensure that a trip gone bad won’t be remembered for years to come due to staggering medical expenses. Although the need might never arise for travel medical insurance, it can definitely help to make the best of a bad situation. Holidays in the Seychelles – Yes, They’re Worth It!